December Daily | I am JuJu! 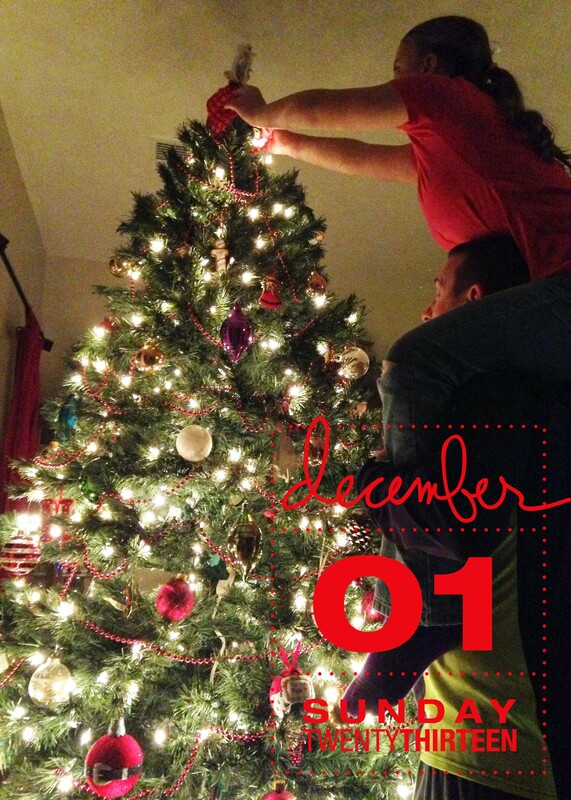 This year I am going to document our daily December happenings here on my blog! December Daily is a concept that has been made wildly popular by Ali Edwards. She is an amazing mom, story-teller, documenter of life, and human being. You can check out her December Daily posts HERE. I will incorporate the photos that I share here into both my Project Life album as well as a small mini-book. We all know how busy the Christmas season can be, and because of that I want to add my photos and my journaling here so that I have it documented. 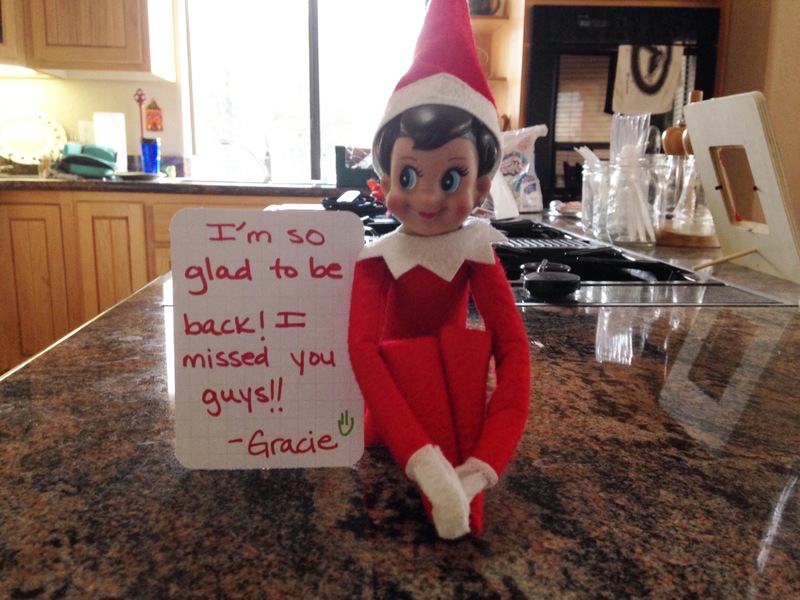 We are doing several fun activities during December, including our advent boxes, Ann Voskamp’s Advent Jesse Tree devotionals/activities, and silly visits from our Elf on the Shelf, Gracie. I made these cute little boxes several years ago and have displayed them several ways. This year I have them lined up on our piano. Each box contains an activity for our family to do together. Some of the activities are big and some are simple. We started off December with a full day of activities! The first Saturday of December in Prescott is the Annual Christmas parade and Town Hall lighting. Prescott is a pretty small town and the parade had a lot of neat elements. And our favorite part of the parade…friends! This is Hailey’s friend, Maggy. I love that this drum is bigger than she is! This is Hailey’s buddy, Owen. They hung out the entire parade. Thankful that Hailey has sweet friends! After a little break, we went back to the square and waited for the Annual Courthouse Lighting. The lighting is one of our favorite events. I wrote about it last year, here. The square was packed with people all waiting to hear the Christmas story read straight from the Bible. Several local school choirs sang various Christmas carols throughout the reading. At the very end, the courthouse and all the trees surrounding the courthouse lit up. We were thankful to be sharing this experience with several of our great friends. Following the lighting we had our friends over for home-made cocoa and cookies. I made THIS amazing recipe that I found on Pinterest. I have had WAY too much fun pinning various Christmas recipes and ideas. You can check out and follow my pinterest boards HERE. Thanks for stopping by today! I know I’ve been absent for awhile, but I’m looking forward to sharing a fun month with all of you!